A Thought: Why Do We Love the Lights? Christmas lights are beautiful. They give cheer, warmth, and signal the moments are special this season. 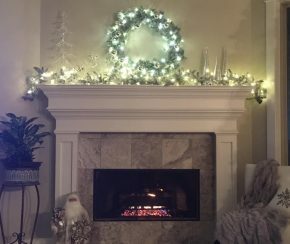 I have lights up somewhere in some form all year—in plants, etc. Jesus said, ”I am the Light of the world.” When we look to and trust Jesus, His Light penetrates our darkness and gives us cheer, warmth and direction. Remember as a follower of Christ, we are to carry and share the light.